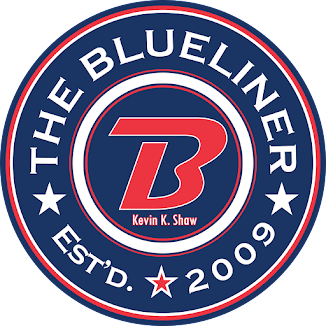 The Blueliner: Well, well, well. What have I missed? Well, well, well. What have I missed? For those few people that actually check out my blog thank you. I know I said that I was planning on writing more, but some things came up and lost the urge to post. I guess reading too many message boards and other blogs that have people loving the players and coaches and staff one minute and then despising them the next took a toll. I consider myself highly opinionated but I try to keep my opinions to a minimum as much as I can especially on the internet where it can be used against you time and time again. Maybe that's why I stopped blogging. I really don't know. All I have to say is that I'm back (for now at least). I'll be blogging later today. Welcome back, Kevin (smiles). Missed you buddy. Hope you were not sick.